A beautiful diamond for the modern woman. 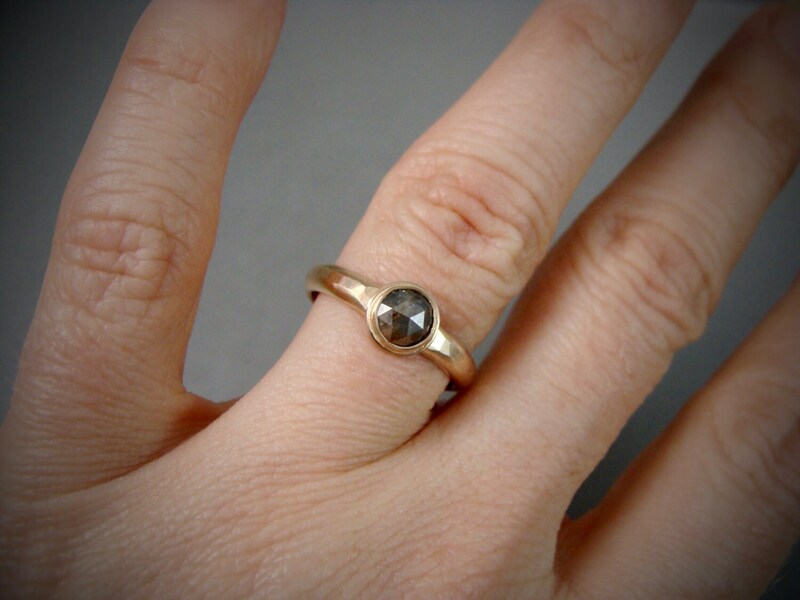 This sweet, natural and earthy, rose cut diamond is perched atop a solid 14k gold textured band. 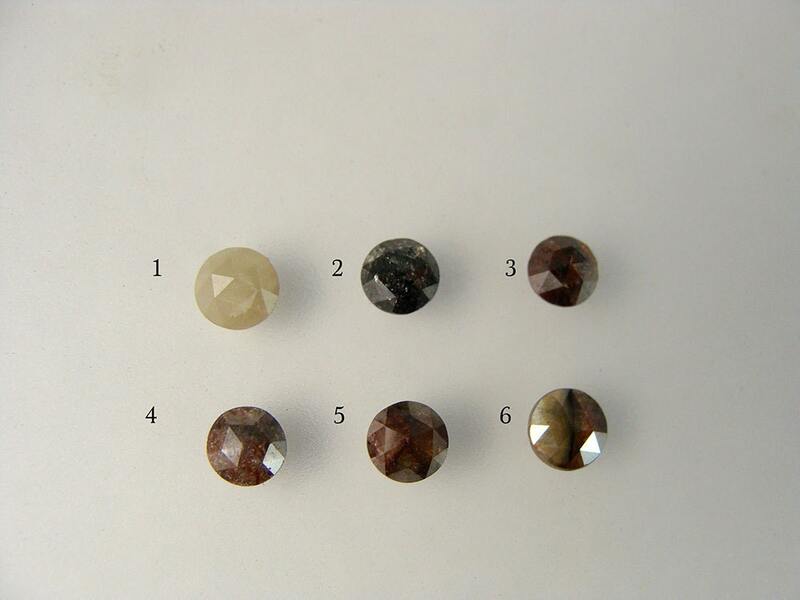 This opaque grey diamond is truly unique showing tiny little inclusions when hit with the light. 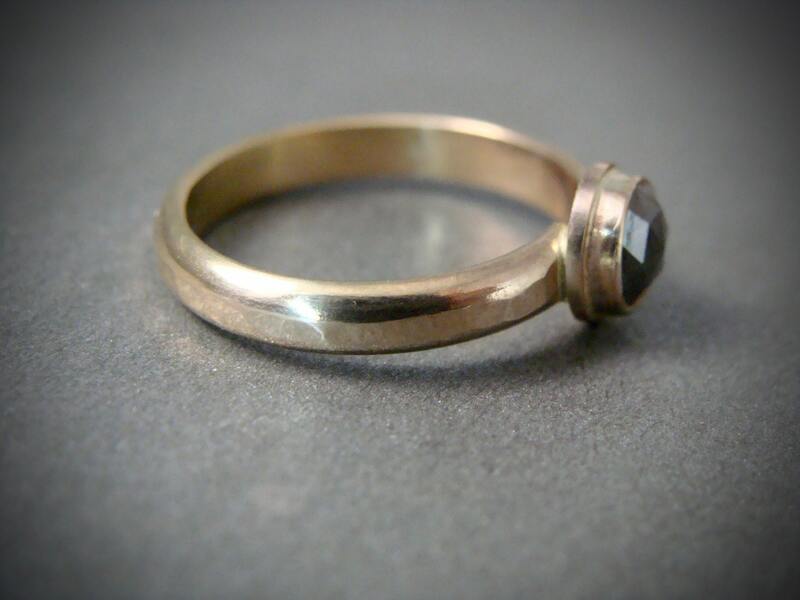 The half round band has been lightly hammered along the center to catch and reflect the light. 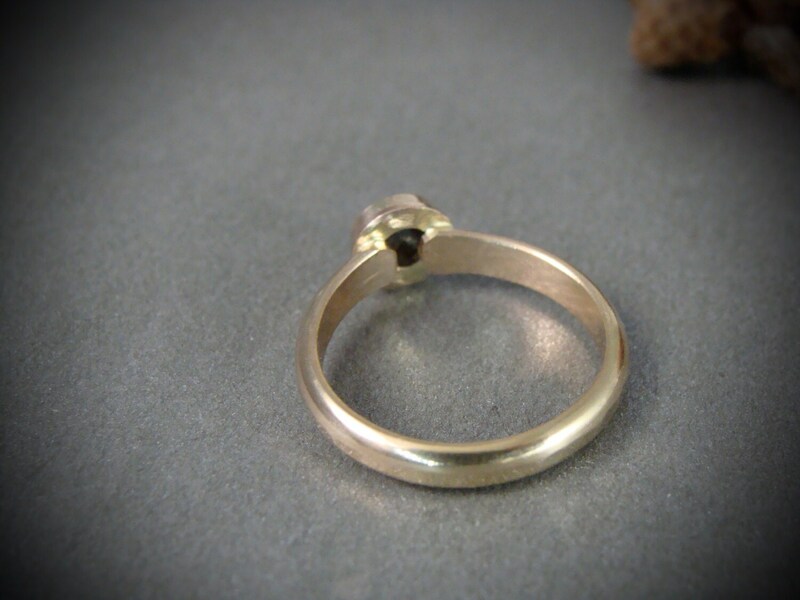 This ring has a lower profile, the entire ring sits a little under 4mm off the finger. Some of the stones sit even lower. This unique diamond is 5 mm, The band is 3 mm wide x 1.5 mm high. A 1 - 1.5 mm band will fit comfortably underneath the diamond. 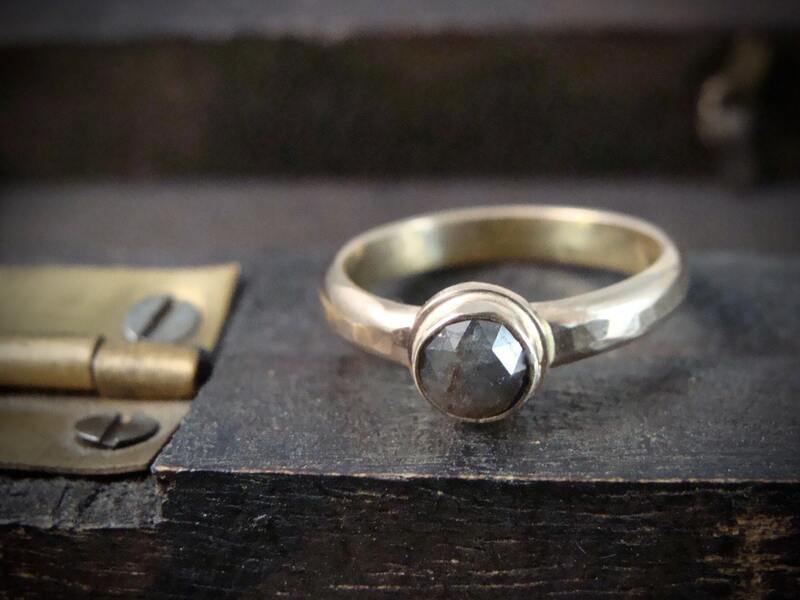 The ring in the photo is ready to ship. Size 5 1/2. ☞ These rings can not be resized. If you are unsure, I sell inexpensive ring sizers in my shop.. If you have ordered the wrong size, there will be a $120. restocking fee.